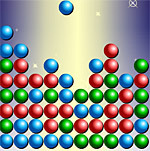 Destroy blocks of the balls the same color. Do not forget that the top is constantly adding new lines. Choose the level of complexity - from 1 to 5. Then spend the ball from start to finish in 60 seconds. Traffic ball mouse. You need to put all the boards to their seats - a square with rombikom. You need to make a closed loop from the emerging players, then they are removed from the field. You need to hold the mouse cursor on the START button to click NEXT. You need to create a series of pipes so that the beginning and end of pipe was in one place - in bolernoy. Try not to write off the check natknuvshis to the teacher. As a class, you can walk and write. 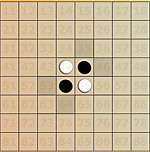 In this game intertwined several styles. To start, you'll need for a certain period of time, hit the hammer on the monster, and then correctly answer the question. In the early stages, you are showing all the pictures posted on the board, then you need to remove them - by clicking on the pair. Rasstavte arrows, so that upon the cow came to the destination. You need 40 moves to win the entire field. To do this you need to choose which cells are now faced with a substitute. 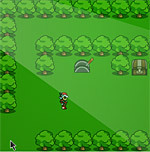 First, you need to find a lever and push it (space), then go to treasures and press SPACEBAR. You are waiting for 140 steps. Rasstavte trampolines so that osminozhki from the pope moved to a mom. Set the arrow so you overtake the train all the way and collect all the snowballs and wagons. Guess how much time should be on the clock now? Collect the star and come out with a stage. By the end of the game you need to capture and overdye cells opponent in their color. Try to find a combination of stones, which devised the computer. 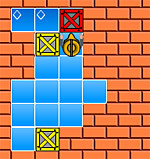 You need to put on the field with three colors of the tiles so they were easy to collect on the field with three in a row the same color.